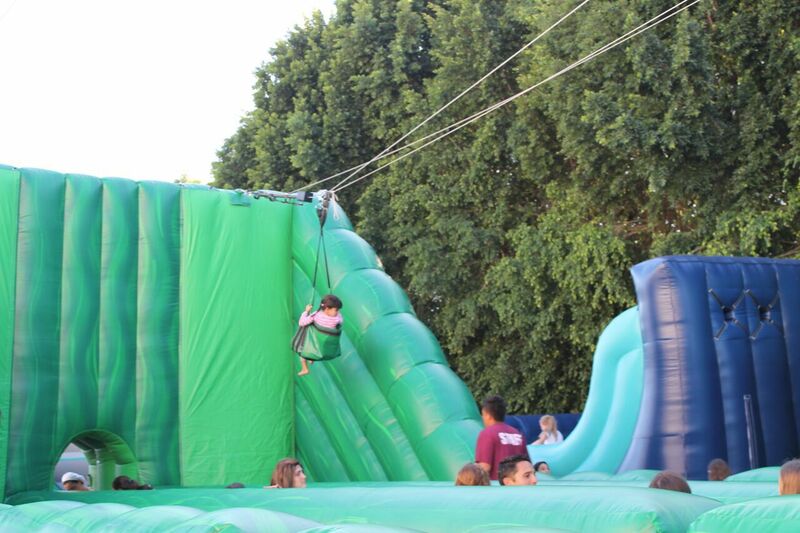 On Thursday, October 1st, the expansive Emek Hebrew Academy campus was overhauled with a grand collection of games and activities that created a Sukkot Carnival such as never had been seen before. There was hope for a good turnout and the final numbers were rewarding with sales to more than 1,500 people. Visitors were from a cross section of the entire Jewish Community. The event is a yearly program that Emek has been hosting and providing as a chol hamoed service for the broader Jewish community for close to 10 years. Each year Emek makes additional changes always striving for a premium event. This was the first year that there was also a concert. The excitement peaked as the highly popular Chassidic rock band, 8th Day took to the stage. Playing many well-known songs, the concert lasted more than an hour. Brothers, Shmuel and Bentzi Marcus, with other musicians in the band, played dozens of songs from their previous albums and introduced their fans to tracks from their new CD, Inner Flame, released in June. With a mesmerizing aerial camera filming the show, the crowd of kids and parents were delighted. The Sukkot Carnival concert was the first time in five years that the band has spent the Sukkot holiday in California. In previous years they have played concerts elsewhere, from New York and Texas to stages in Australia, Canada, Spain, South Africa and England. Still, 8th Day creators, Shmuel Marcus, a family man with 5 children and the Rabbi of Chabad of Cypress, CA and Bentzi Marcus, his brother, with 3 kids and additionally the manager of a recording studio and music production company, know they are able to avoid a certain amount of touring because of the internet distribution of their music. The Emek crowd were mighty pleased that the band was home this year. There are few contemporary Jewish bands and most school kids are familiar with 8th Day’s music and videos which are even played on El Al’s flight entertainment channel. Their songs are created with the hope that audiences, young and old, will be uplifted and entertained by the compositions. As the school kids watched the 8th Day band dancing and guitar strumming, they were filled with breathless wonder, thinking perhaps, “You can be religious and play music for a living?” Shmuel answers carefully, “Music in general is an amazing thing to be involved with. It develops and enhances our way of seeing. It’s more than playing music that captures our hearts, it is also the expression and spiritual connection that is meaningful. Jews played instruments in the Bet Hamikdash and Kind David himself composed and played. Music is a great gift and it is a different language and for kids with a Torah education it will enhance their learning. The band is named 8th Day after Shemini Atzeret, but the concept of the number eight is also one of transcendence. What does their music transcend? Shmuel wants fans to, “try and evoke a sense of breaking out of the personal limitations we put on ourselves and embrace infinity.” This sounds serious and deep at heart. 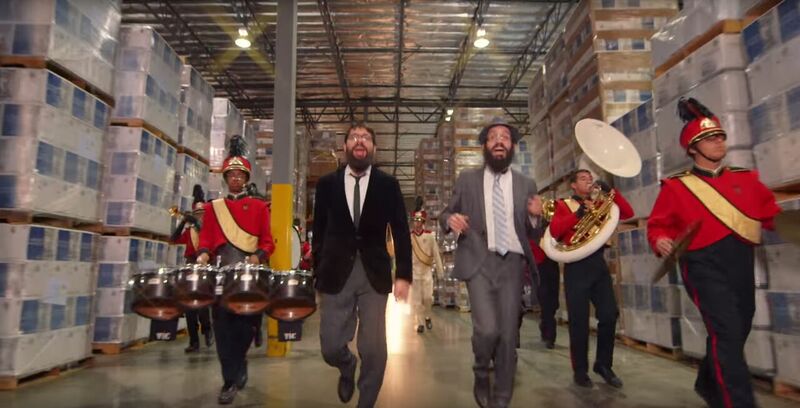 Shmuel agrees, “Music can inspire people and so we write songs that are inspirational.” Still, along with this thoughtful component, the band keep their music upbeat, hopeful and amusing even. This is the blend that has created their unexpected success. 8th Day website can be visited at my8thday.com. 8th day albums can be downloaded and purchased from the site, or at Mostly Music or iTunes.